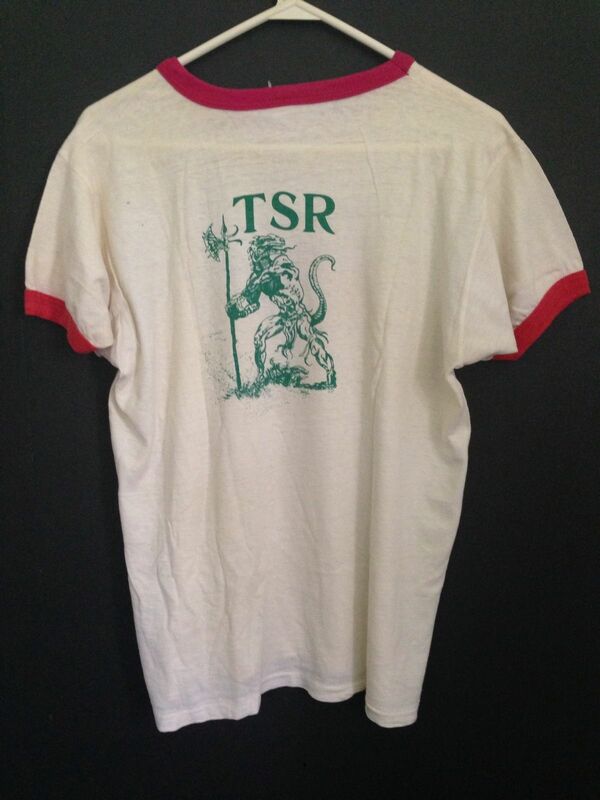 That’s a beauty I haven’t seen before and is now the oldest TSR t-shirt I know of. 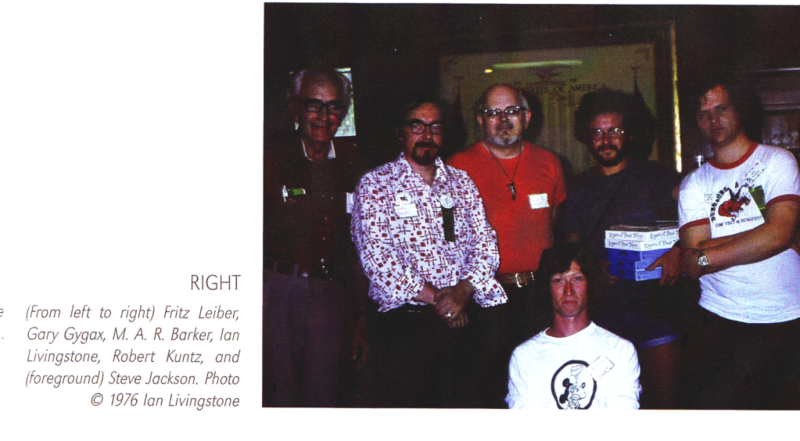 The Lizardman was the TSR Logo from mid 1975 to the end of 1978 (see this Acaeum page ). The “Come Visit My Dungeon” slogan is also on a rare sticker from the time period, distributed at the Dungeon Hobby Shop according to Ernie Gygax. It’s beautiful. I checked the Acaeum logo page (and a few of your logo posts) before posting. 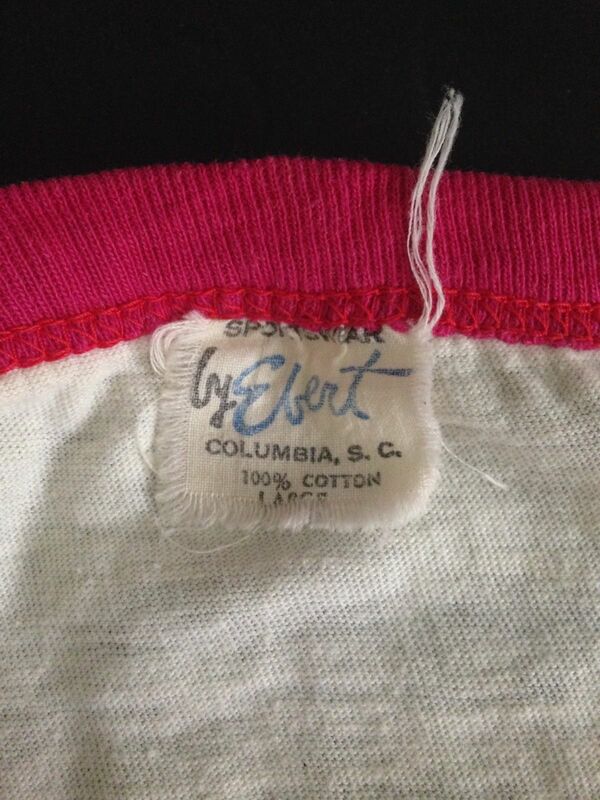 I’m guessing it was sold exclusively at the shop, so it had to have been produced between April 1976 and December 1978. Sounds right. More art trivia: The Lizardman is by Greg Bell and appeared inside the front cover of the Greyhawk supplement (1975) before being adapted as the logo. The image on the tee looks identical to the original art. Wasn’t the Bell illustration touched up before it became the official logo? Possibly. It’s hard to tell since the logo is so much smaller. 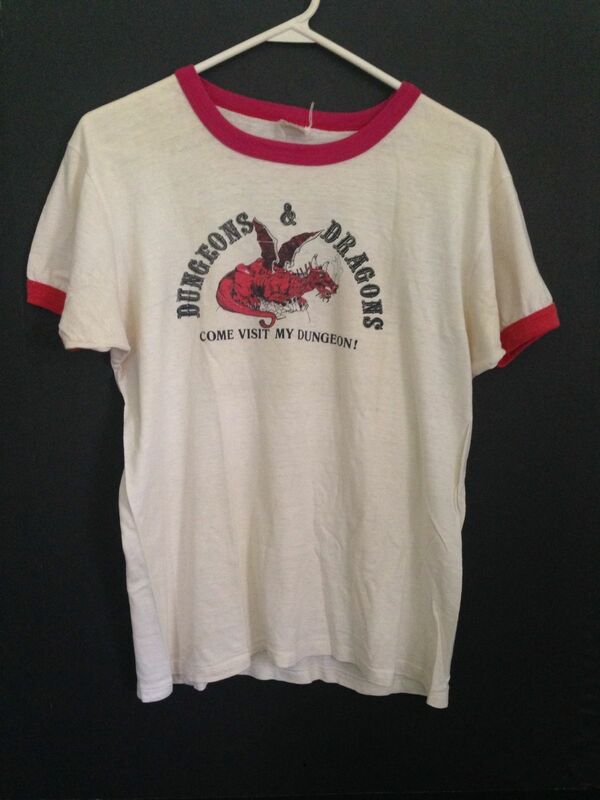 I found a scan I have of the April 1978 Dungeon Hobby Shop “Order Blank”, which lists a “D & D T-Shirt M, L, XL” for $4.95 – possibly this very same shirt.